The Raglan. Originally the coat tailored for Lord Raglan was a tweed wrap which kept off the foggy chill while its wearer was shooting grouse. What remained of the basic style was the Raglan Shoulder which was a marked departure from the set-in type. It is still a favorite among men who want a more casual look in their overcoats. The Inverness. This combination coat and cloak, without sleeves, was lined with silk and was a convenient and comfortable slip-on for wear with evening clothes. 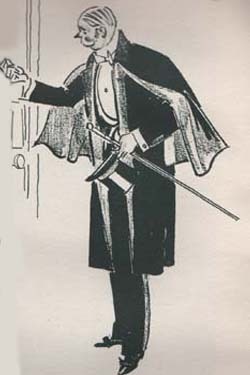 It never attained much popularity, even when it was considered de rigeur for men to wear formal clothes after dark; possibly the American male regarded it as somewhat feminine in appearance. 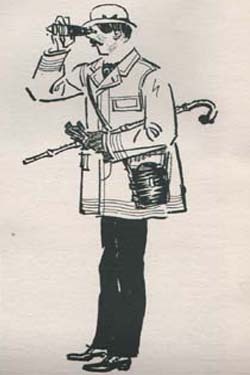 The Shell Lined Coat. 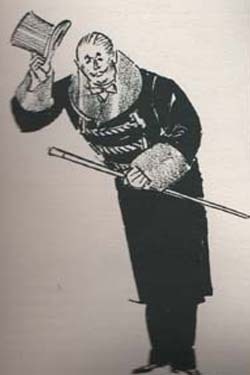 The original of this style was lined an d finished with a collar and cuffs of expensive fur which, together with the bulky outer cloth, acted as a bulwark against the cold while traveling. The advent of newer forms of transportation, and steam heating in all types of buildings, removed the functional necessity for this type of coat. 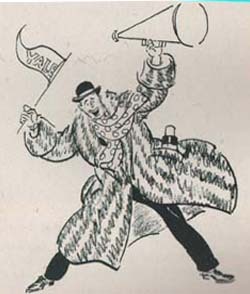 It disappeared for many years, but returned in the form of the Station Wagon Coat when auto travel and suburban living became national in scope. Today’s version is far lighter in weight, due to improved technology in weaving non-porous fabrics; the silk frogs have given place to either buttons or slide fasteners; and tweed vies with solid weaves for favor. 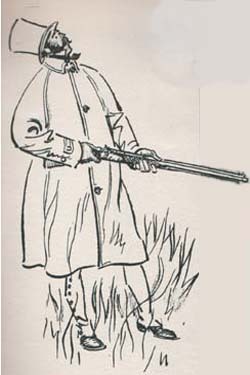 The Short Covert Coat. The active sports enthusiast adopted this hip-length coat when he decided to walk short distances instead of riding. This is another fashion which expired for lack of reason-for-being until the wide development of hunting and fishing in this country suggested its revival and modification. Recent versions, which range in length from hip- to fingertip-length, are also popular on the collage campus. Twills and gabardines are the most widely used fabrics.